new church home on Route 15 in Haymarket. See the latest news below! Build our Church: Building a parish church will allow our community a spiritual home to come together to glorify God and move forward in building God’s kingdom on earth. 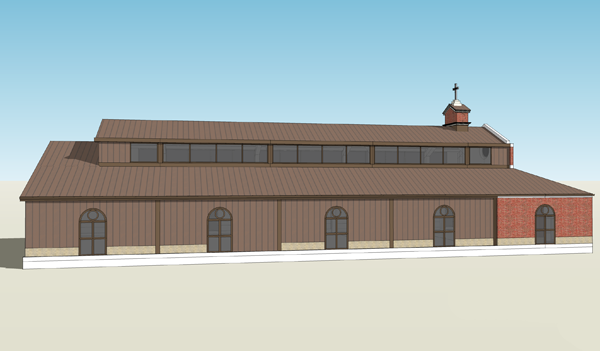 Build our Church: The goal of the first phase of our Capital Campaign is to raise $1-1.5 million. While is important that we reach our financial goal, it is equally important that we have the participation of every parishioner who calls St. Katharine Drexel Mission their spiritual home. 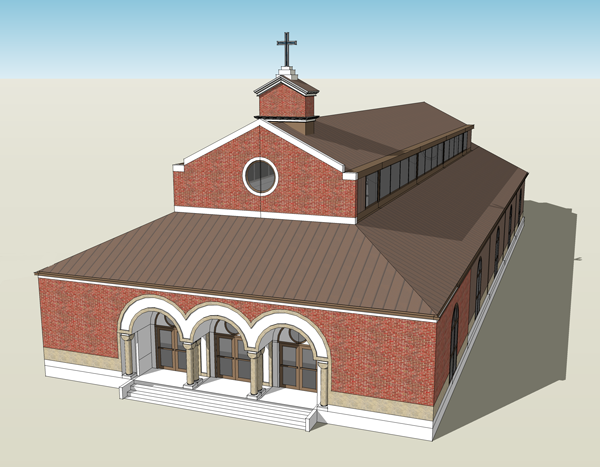 Build our church: We currently have 94% of pledges needed to proceed with the building project. We appreciate those who are already contributing to this important Capital Campaign. We encourage those who haven’t yet made a commitment to complete a pledge card and take advantage of the convenience of online donations through Faith Direct. 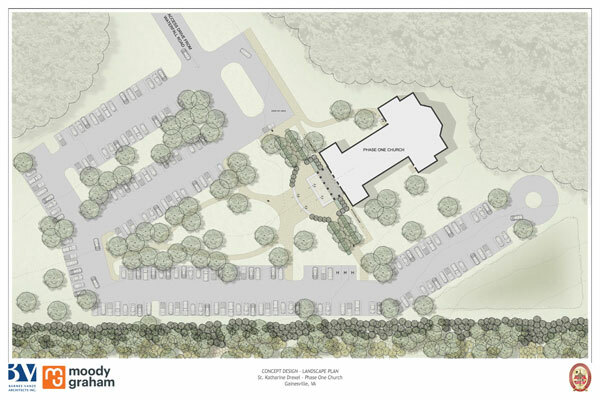 To make our building a reality, these Capital Campaign pledges must be fulfilled, the sooner the better. We need to also continue raising money to ensure we can afford the mortgage and cost of ownership of a church building. Read about all the exciting details of our church project in the 2018 Building Committee Annual Report. The first step in supporting the SKD Capital Campaign to build our church is to make a pledge. To enable us to properly track the campaign and secure financing, we need you to complete a pledge card, regardless of how you plan to make your contributions. Complete a Capital Campaign Pledge Card and place it in the collection basket or mail it to SKD Mission Office, 4100 Mill Creek Rd., Haymarket, VA 20169. Once you’ve submitted your pledge card, consider setting up monthly contributions through Faith Direct. It’s the convenient way to give! You may also make contributions by placing your donation in your pledge envelope and putting it in the collection basket or mailing it to the SKD Mission Office. Join Our Capital Campaign Today! 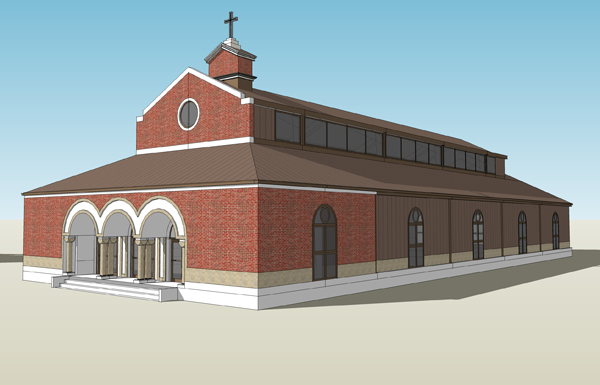 As a member of St. Katharine Drexel, we are asking you to consider making a pledge to support the building of our parish church. We know that not everyone can make the same size gift, but we hope everyone will pledge their financial support. Every member of our community is integral to the success of this critical fundraising endeavor. Please prayerfully consider making a pledge to this important campaign. Your decision to make an investment in the future of our parish in the Christian spirit of gratitude is a personal one. Consider sharing the gifts God has shared with you. All contributions from the smallest to the largest are needed and appreciated. Complete your Pledge Card!!! To enable us to properly track the campaign and secure financing, we need you to complete a pledge card, regardless of how you plan to make make your contributions.Complete a Capital Campaign Pledge Card and place it in the collection basket or mail it to SKD Mission Office, 4100 Mill Creek Rd., Haymarket, VA 20169.If you have any questions or would like additional information, please contact Ellen Sivick at (703) 754-8444. Make it easy! Set up an ongoing monthly contribution through Faith Direct. For a complete list of frequently asked questions pertaining to the building of our church, please see SKD Building Project FAQs. What is the difference between the offertory, building fund, and the capital campaign? When will the church be built? Why does the church cost 8M? How can I contribute to the building fund? Capital campaign? Can I use Faith Direct to make building fund and capital campaign contributions? If you would like additional information, please contact Maureen Thomas at (540) 687-6433.